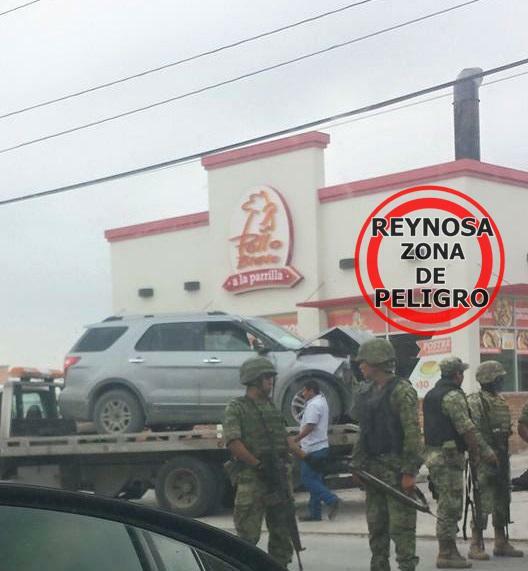 The capture of a regional boss for the Gulf Cartel set off a fierce firefight throughout the border city of Reynosa. The bustling industrial city was turned into a warzone. Bystanders frantically sought refuge while gunmen and soldiers exchanged gunfire. The sheer terror experienced by average citizens can be seen in a 55 second video that the citizen journalist group Matamoros Zona de Peligro uploaded to YouTube. In that video, shot with a cellphone, a couple is sitting inside a vehicle parked in a shopping mall and the woman who is holding the phone asks if they should run inside. As the couple gets out of the vehicle and runs towards the entrance of the mall a loud barrage of gunfire goes off abruptly. The woman begins to frantically cry out in despair as she throws herself to the ground and seeks refuge under a car. “Where are they … Oh God, Where are they?” the woman cries out as the shots continue to ring out. The man can be heard trying to calm the woman down as they run make their way towards the shopping center where a security guard waves at them to hurry inside. The intense fighting went on for several hours throughout the city The U.S. Consulate General in Matamoros issued an alert warning American citizens to avoid going to Reynosa because of the fighting and to exercise extreme caution if they do go over. The capture of a Gulf Cartel boss set off a fierce firefight near the Texas border. Mexico’s National Security Commission issued a news release stating that the shootouts in Reynosa were tied to the capture of a leading organized figure. The fighting resulted in the deaths of three gunmen. Two police officers were injured. 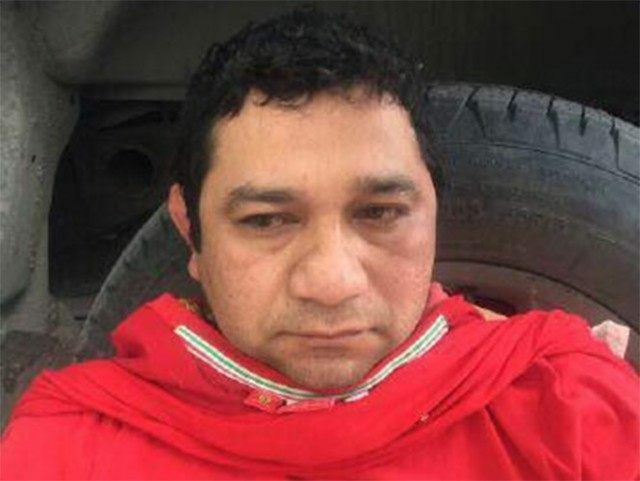 While officials have not publicly confirmed the identity of the captured capo, various officials confirmed to Breitbart Texas that the man in custody is Jose Hugo “El Gafe” Rodriguez Sanchez who appears to have also gone by the name Sergio Velasquez. El Gafe, as Breitbart Texas previously reported, is credited with leading the Reynosa faction of the Gulf Cartel known as Los Metros in a bloody war against the faction in Matamoros known as Los Ciclones. 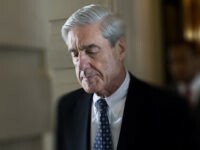 The fighting has led to almost daily firefights between the two groups as well as a series of gory executions, as Breitbart Texas previously reported through the Cartel Chronicles. Unlike other border cities such as Juarez or Tijuana where state officials have accurate and transparent crime statistics, the Tamaulipas government has a long history of purposely minimizing or hiding the number of casualties from the shootouts. The news release by the federal government doesn’t address at least one bystander killed during the shootout. 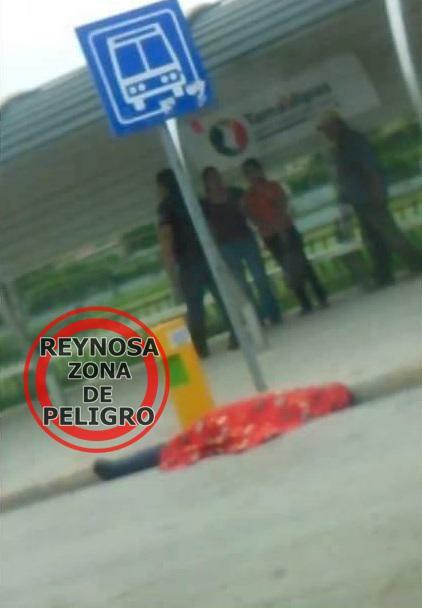 The death was reported by the citizen journalist group Reynosa Zona de Peligro who also shared a photo of the victim covered with a red blanket as bystanders walked around. A bystander was killed during a fierce firefight near the Texas border where the Mexican military captured a Gulf Cartel boss. The intensity of the shootout also had another unintended casualty. 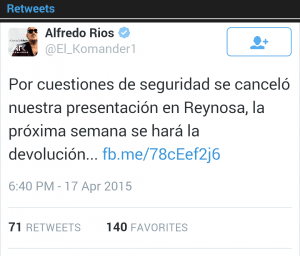 The narco-corrido performer Alfredo Rios, also known as El Komander, issued a statement and went on social media announcing that he had canceled his performance in Reynosa this weekend “due to the security reasons”. The cancelation appeared ironic to the people along the border because El Komander’s music deals with glamorizing the life of drug lords. 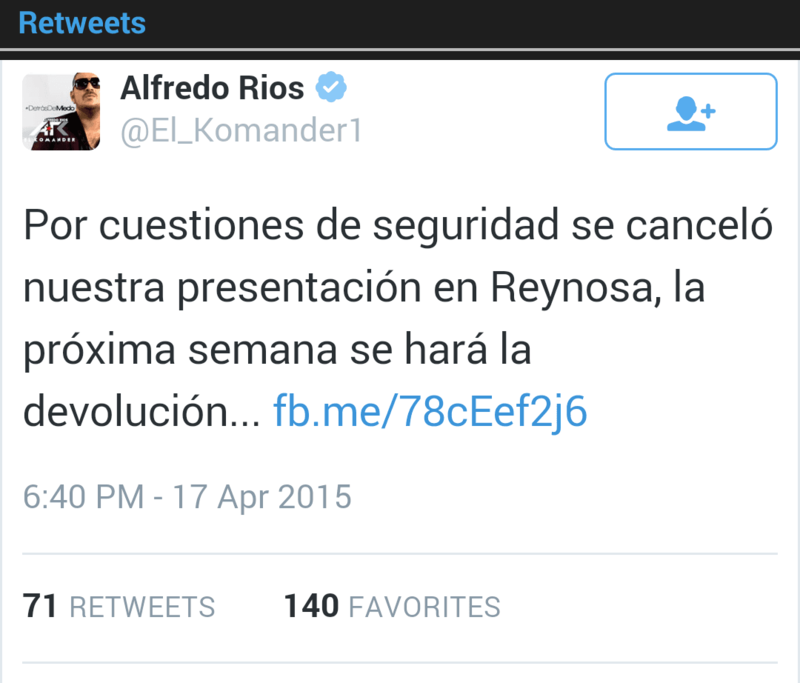 Rios became the laughingstock of social media in Reynosa. A narco corrido singer cancelled his show citing security reasons.